Ho! Ho! Ho! Do I have a sweet little gift for you today. 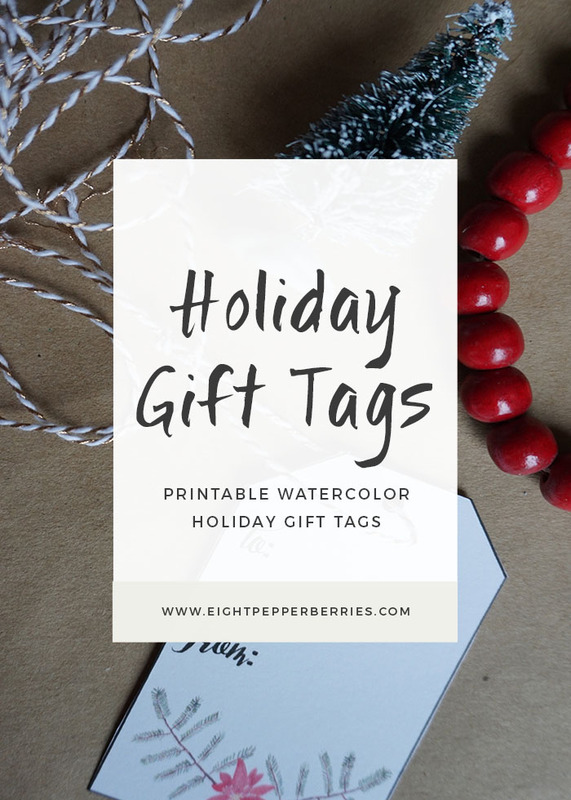 These watercolor holiday tags were created with you in mind to say thank you for following along, supporting me, and being just down right awesome! I hope that they will add some extra sparkle under your holiday tree this year. 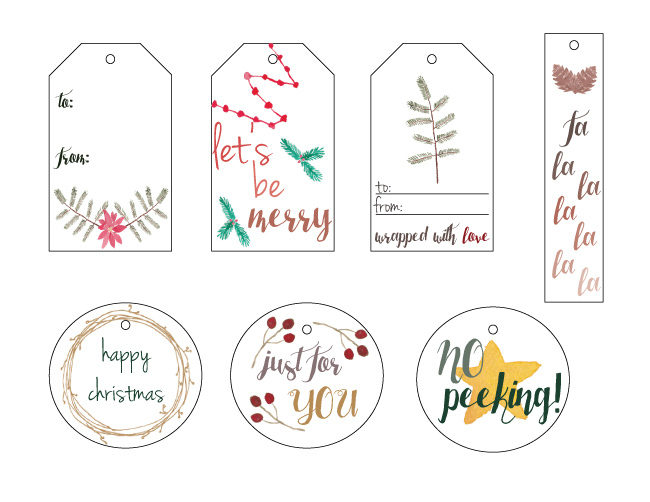 Need some wrapping inspiration for your holiday tags? 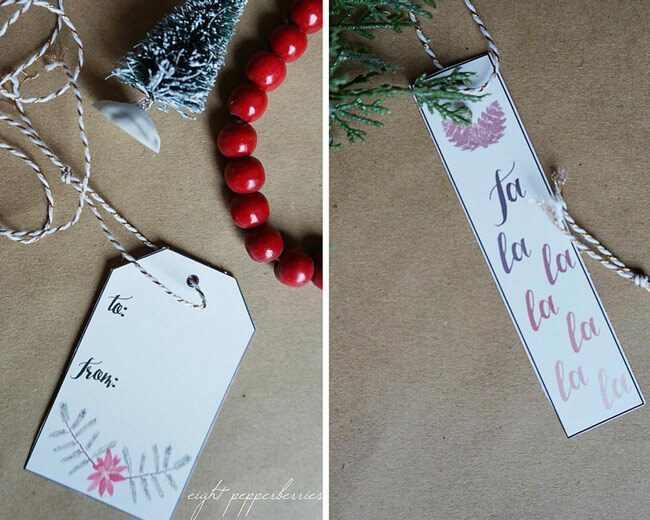 I’m leaning towards pairing these holiday tags with brown kraft paper (I found a big roll at the dollar store) and this polka dot paper (it reminds me of snow) from Target. Twine, velvet ribbon, rope, or yarn….the list goes on and on! All of it can dress up a minimal canvas, especially when you add a little something extra like a faux tree, photo, or berries. 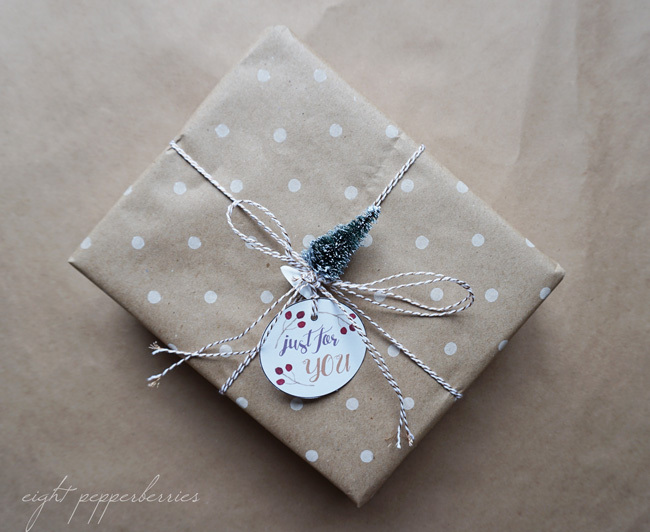 You can check out my Gift Wrapping board on Pinterest here for more ideas! Just print on cardstock, trim around the edges, punch a hole, and string with your choice of ribbon or twine. Viola! They’re ready for the Christmas tree. How are you adding some extra sparkle to your gifts this year?